You’re probably familiar with the Occupational Safety and Health Administration (OSHA). This government body sets safety standards for workplaces across the United States. OSHA enforces those standards by visiting employers and issuing citations if safety standards aren’t met. OSHA covers all aspects of workplace safety ranging from the safe handling of chemicals to hearing protection programs. Additional workplace safety standards from organizations such as the American National Standards Institute (ANSI) and the National Fire Protection Association (NFPA) also impact businesses. If you’re an employer or a safety or facility manager, there’s a lot of know. Plenty of resources exist, though, to help you find the information you need to protect your employees and your business. 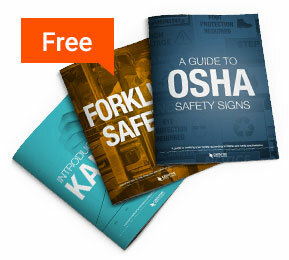 Browse the articles below to learn about OSHA standards, guidelines from other standards-making organizations, and advice for staying in compliance. You can also learn how these regulations can help your business’ bottom line.